Brandi, a 38-year-old endometriosis survivor, keeping in touch with the international endo community via Snapchat. 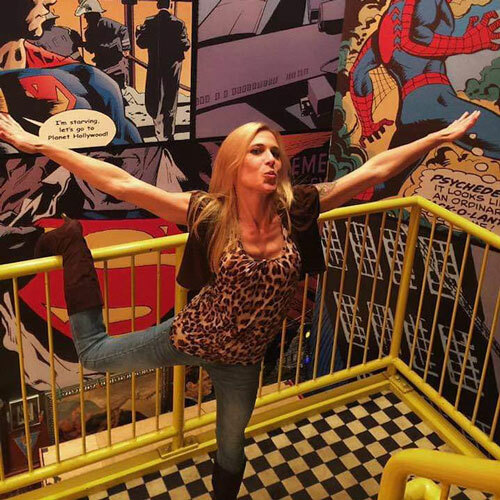 Brandi, a previous high school gymnast, cheerleader, weight lifter, and mother of one, spent her entire academic and professional career in unmanageable pelvic pain. Severely anemic and a victim of both ovarian cysts and fibroids during her high school years, the doctors were at a loss as to what to do for her. 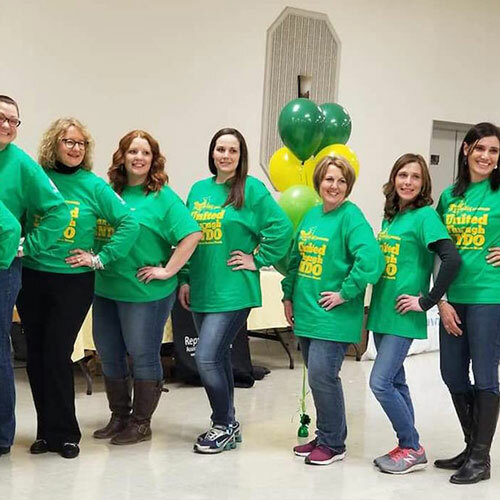 Brandi’s obstetrician (OB) began treating her for the anemia and ovarian cysts in 1999, however, she wanted to dig a little deeper. She performed the first of Brandi’s 15 laparoscopic surgeries, and determined that she, in fact, suffered from endometriosis. Although this was something that she was told not to worry about, Brandi knew that something wasn’t right as the pain began to intensify, causing numerous missed school days, and the need to be excused in order to change her clothes due to excessive bleeding. Between the years 1999 and 2006, she was shuffled to and from various specialists [allergists, proctologists, endocrinologists] who diagnosed her with irritable bowel syndrome, potential Crohn’s disease, colitis, and gastritis. At one point, they wanted her to seek psychiatric help. In 2007, the severity of Brandi’s condition worsened — inciting the need for a 6th laparoscopic procedure. It was discovered then, that the endometriosis had eaten its way into her bowel. After receiving this devastating news, Brandi was referred to another OB who was also a pain specialist — this physician had the reputation of dispensing heavy medications to combat pain instead of addressing the condition itself. This methodology of treatment did not coincide with her convictions based on the personal experience of suicide impacting her intimate family nucleus. At the end of her rope, Brandi attempted to make an appointment with this new specialist, but he refused to see her because her condition was, “all in your head.” It was during this time, that what was left of her health began to wither away. 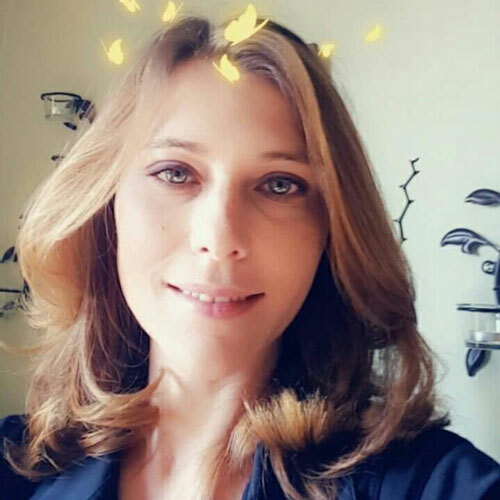 After several additional surgeries, nearly losing her house because of medical bills that the insurance company would not cover, and doing her best to cope with endo, she sought both guidance and sanity from women like herself by joining an online endometriosis forum. Through this forum, she met Tara Hilton, Founder of The Yellow Cape — a non-profit, endometriosis outreach organization. Tara told her, “You need to contact RAD,” and so she did. Since the first day she walked through the doors, Brandi experienced nothing but warmth, positivity, and straightforwardness from the Endometriosis & Pelvic Pain Center’s medical and administrative staff. Her first consultation with Dr. McGuirk was a radical shift in the normalcy that she had become accustomed to for 20+ years. Due to the lack of professionalism, genuine care, and authentic concern from the medical community up until that point, Brandi was unsure if she could trust Dr. McGuirk’s word that she could help set her feet on the path toward a better, pain-free life. Because of the extensive internal organ damage that the invasive endometriosis had inflicted on her body, Dr. McGuirk collaborated with a team of oncology specialists in order to strategically target the culprit and assist in bringing about remission. Since her initial visit and the start of her long-term treatment plan, Brandi has improved in leaps and bounds. A well-organized plan assembled by a physician that has good listening skills, determination, and compassion, in addition to a dedicated patient, can accomplish an immense amount toward healing. Just recently, Brandi celebrated 1-year of being pain-free in remission since her first laparoscopic surgery with Dr. McGuirk, and this is what she had to say. 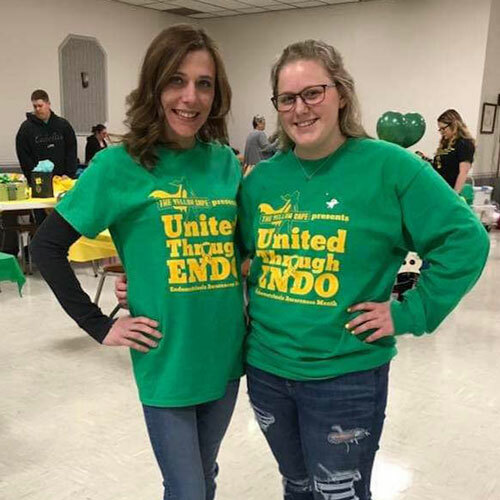 Brandi pictured with fellow, teenage EndoSister, Morgan, at one of The Yellow Cape’s outreach events in March of 2018. Reunited with Dr. McGuirk and several other survivors in the community.